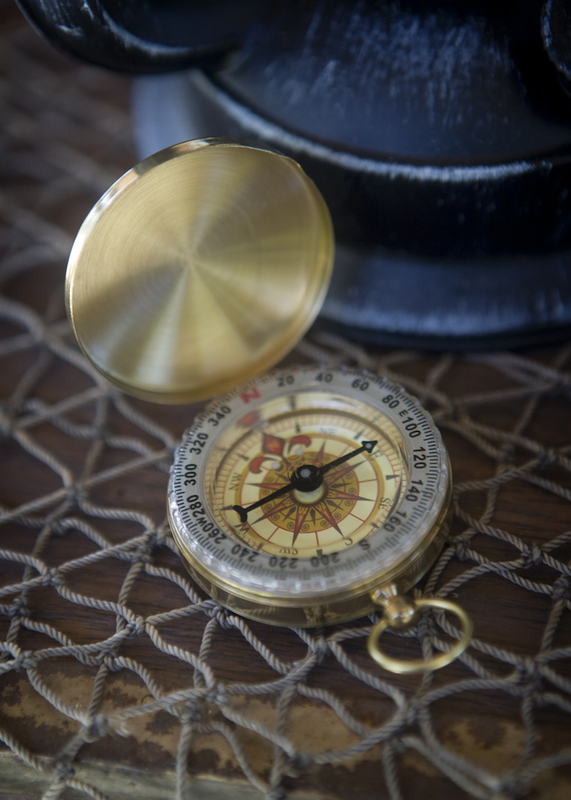 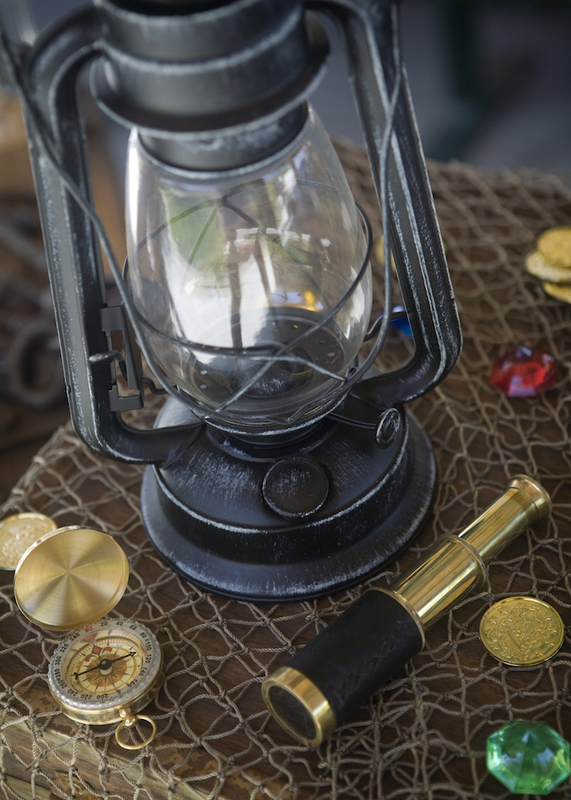 Ready for treasures and pirate hoards?! 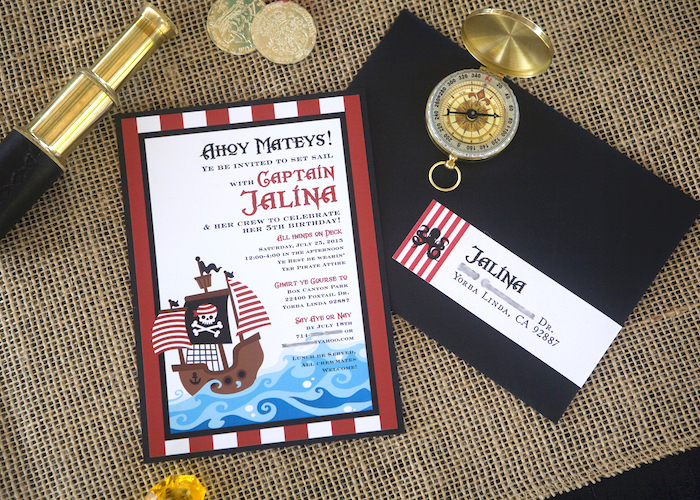 If so, grab your sword because this Misty Cove Pirate Birthday Party by Courtney Jacques, is coming aboard! 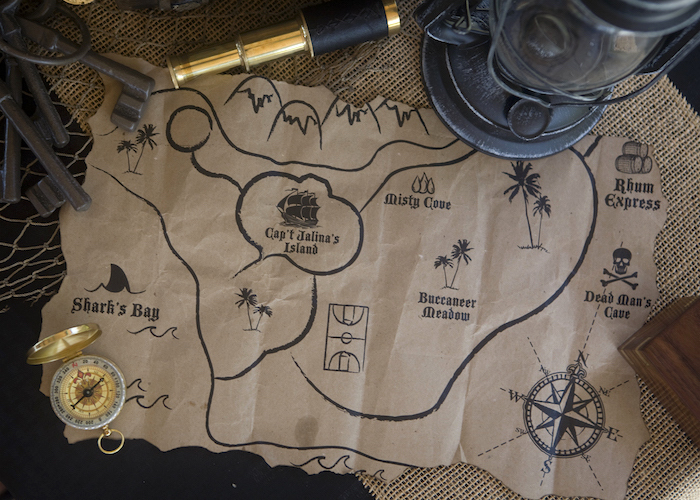 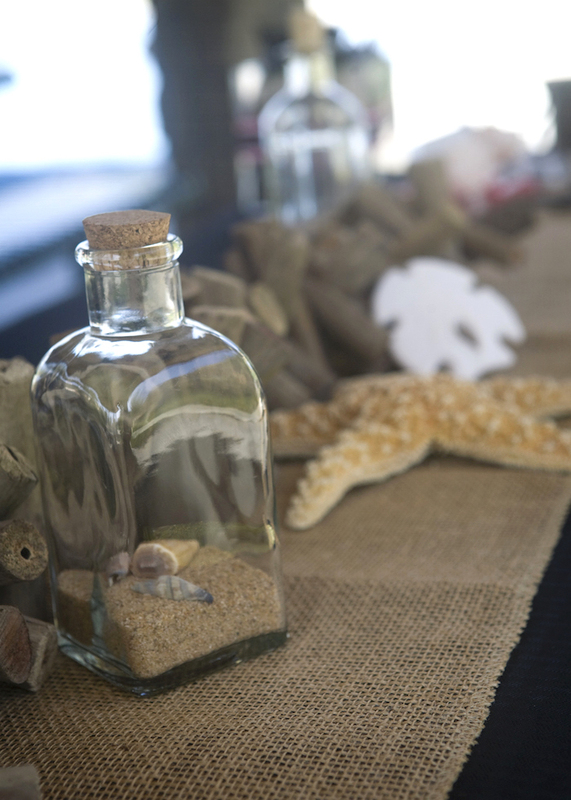 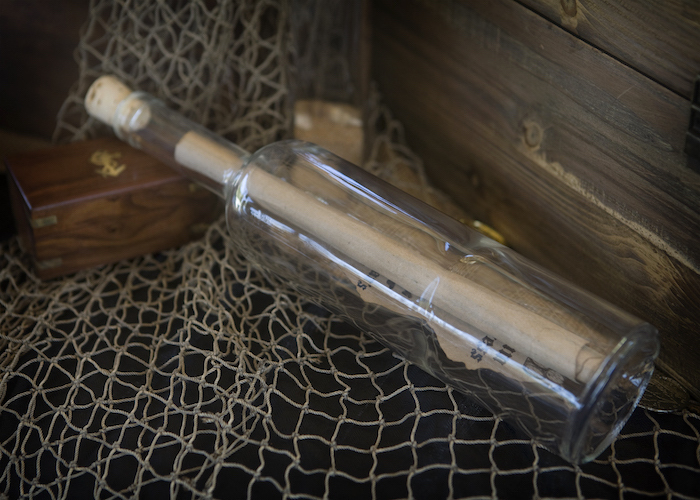 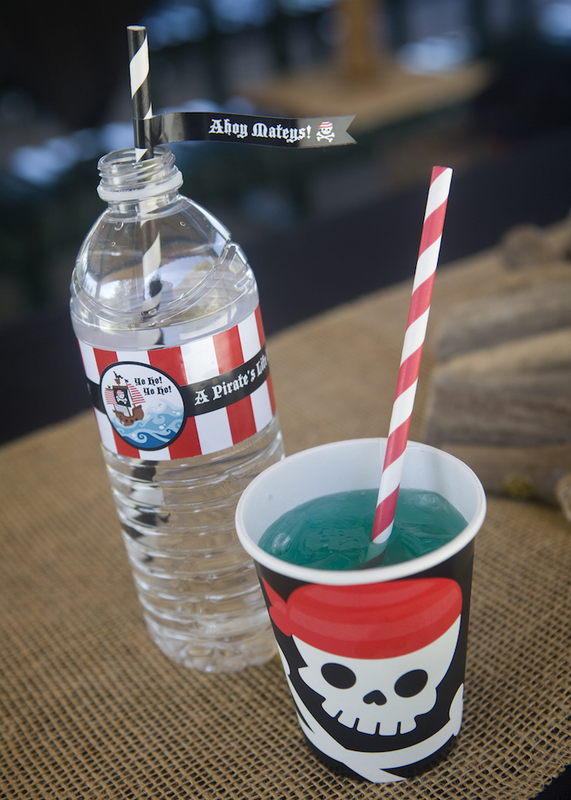 Filled with loot and party ideas that gleam, this birthday party is a sea-worthy dream! 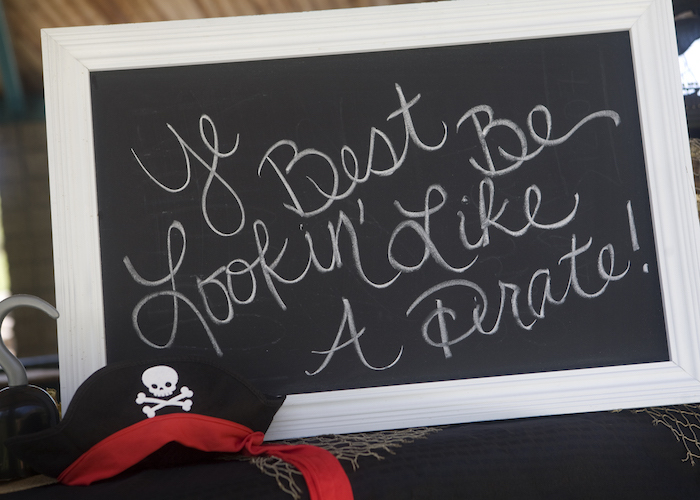 Pirate worthy activities + fun! 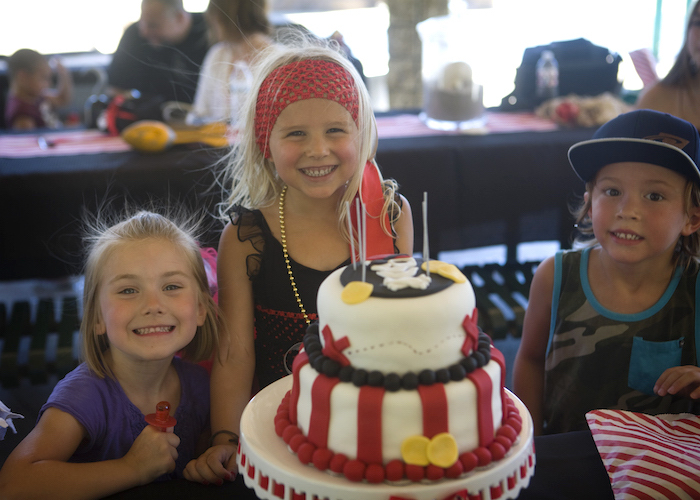 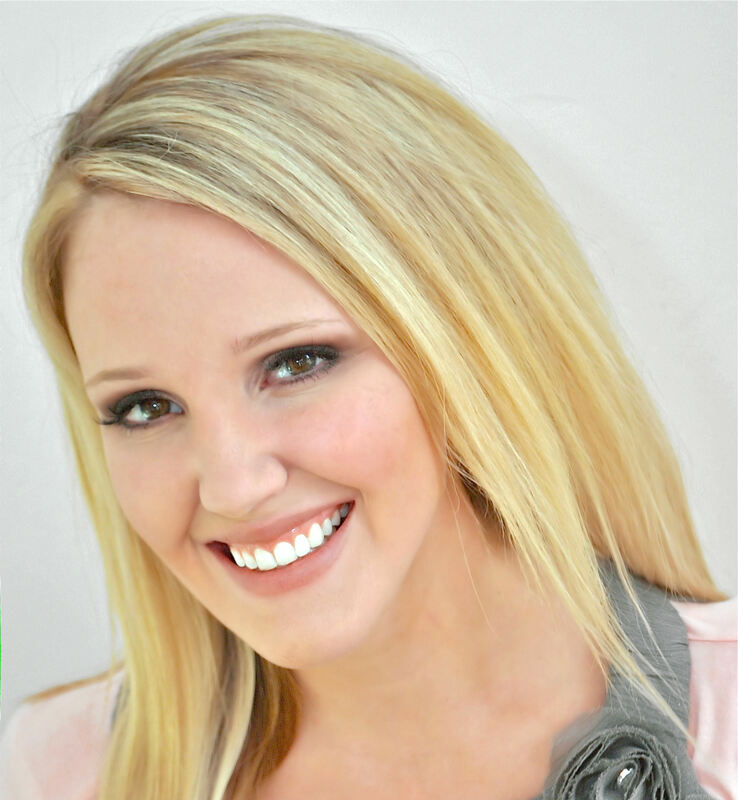 This is what Courtney shared about the party- “Jalina decided she wanted a Pirate Party for her birthday so we started planning a few months in advance. 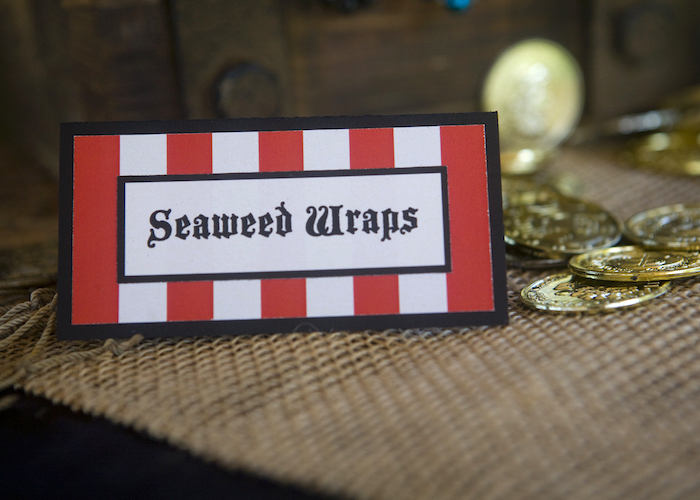 I am a graphic designer so I made all of the printed items myself: invitations, food signs, etc. 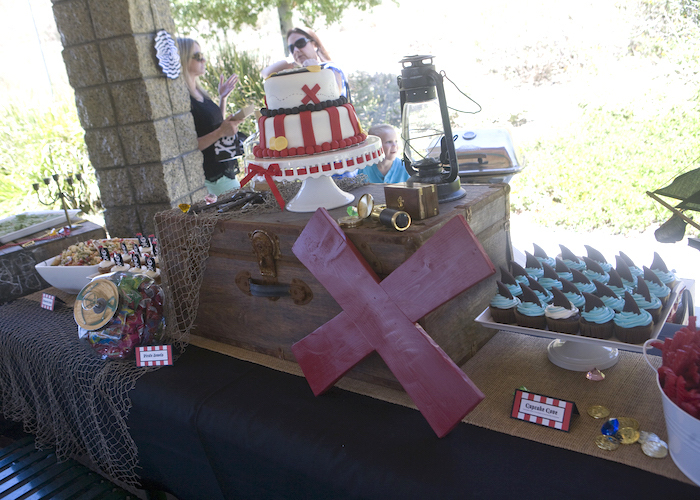 My husband Chuck, is a carpenter so he made everything from scratch for me. 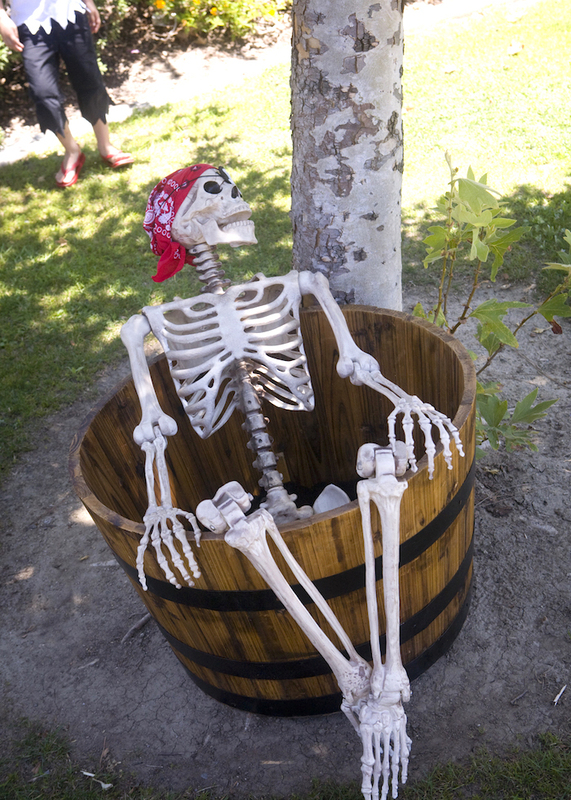 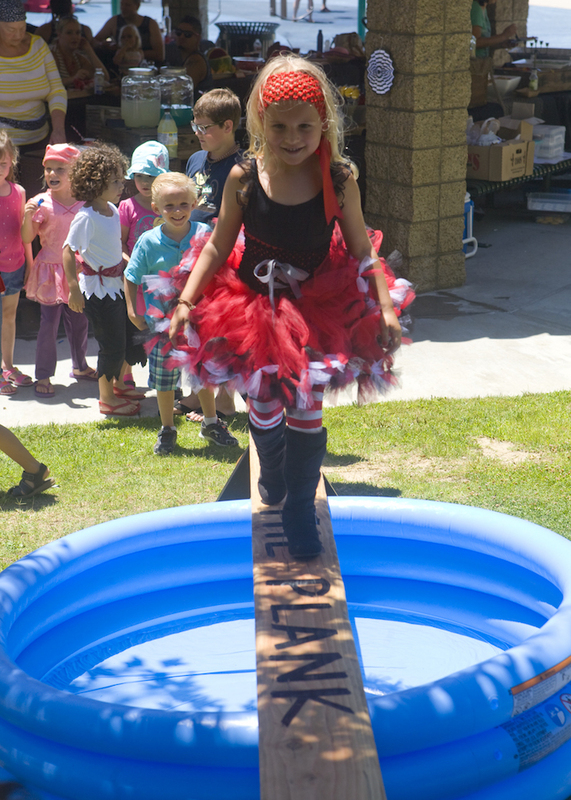 He made a “Walk the Plank” game. 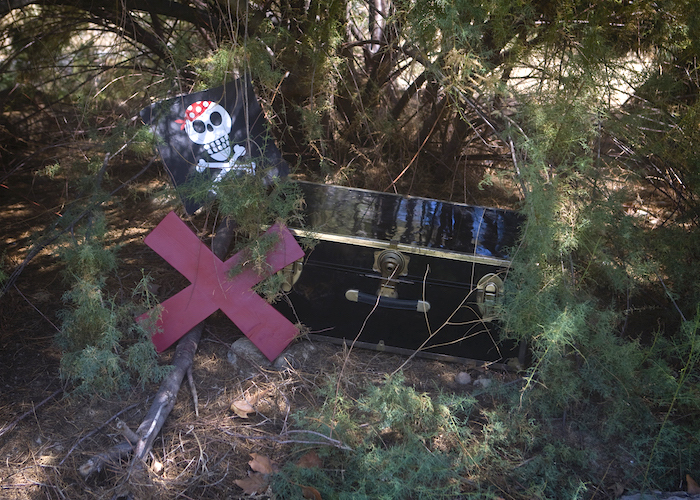 Even the stands that the plank rested on were “X”s like you would find on a treasure map. 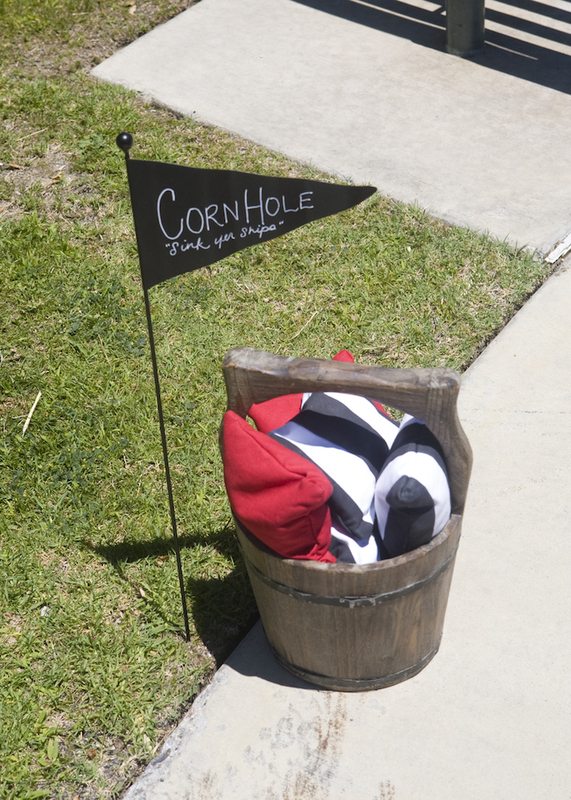 He also made a corn hole game and custom bean bags to match our theme. 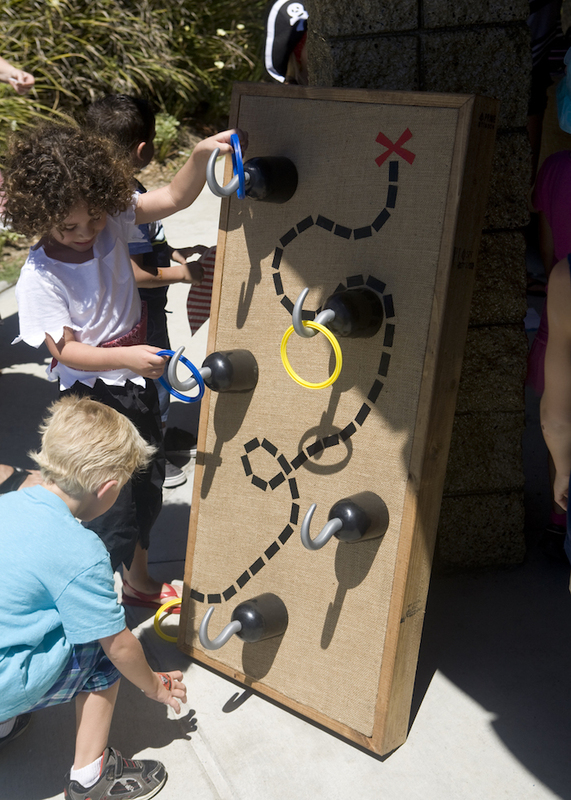 He also made the “Hook Toss Game” for kids to play with. 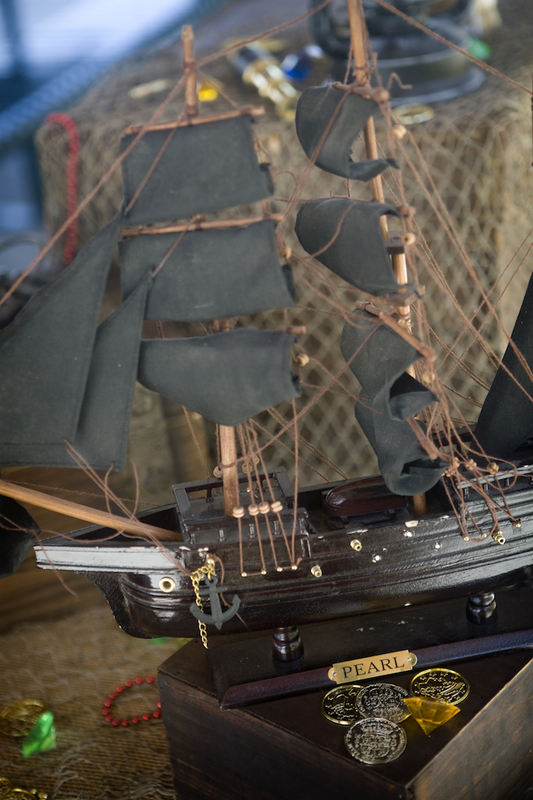 He also made a pirates ship wheel. 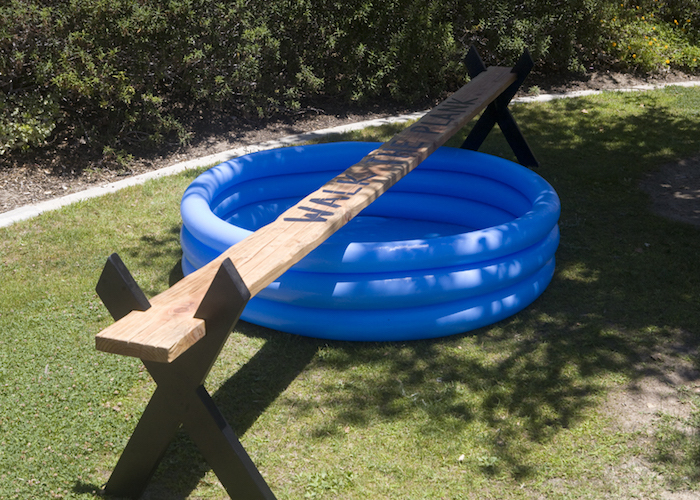 I couldn’t find them in stores that large, so he made one for us. 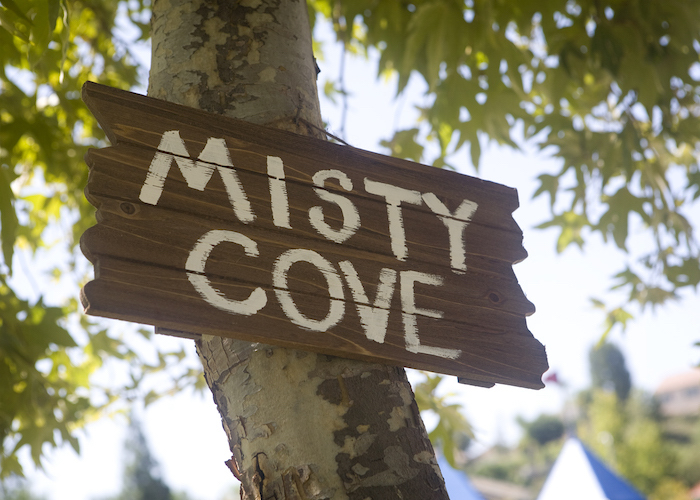 Chuck strung his misters through the trees to create “Misty Cove” where the kids could cool off. 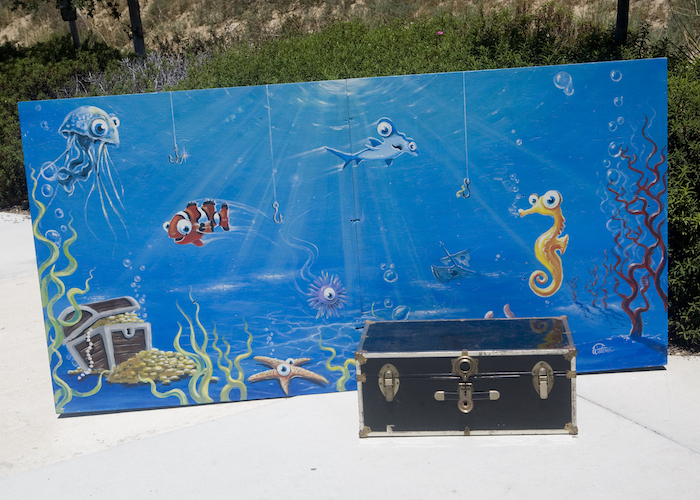 We had an “Under the Sea” photo backdrop painted on plywood for the kiddos to take pictures. 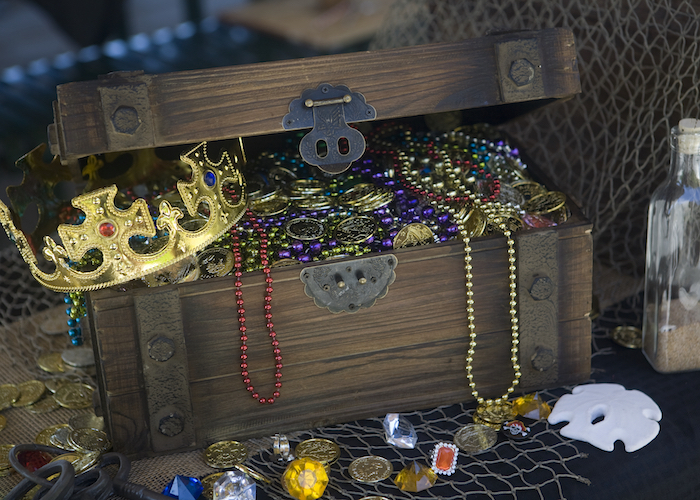 We had a dress up station where kids could take necklaces, crowns, pirate hats, swords, eye patches, bandanas and crowns out of a treasure box to be “lookin’ like a pirate”. 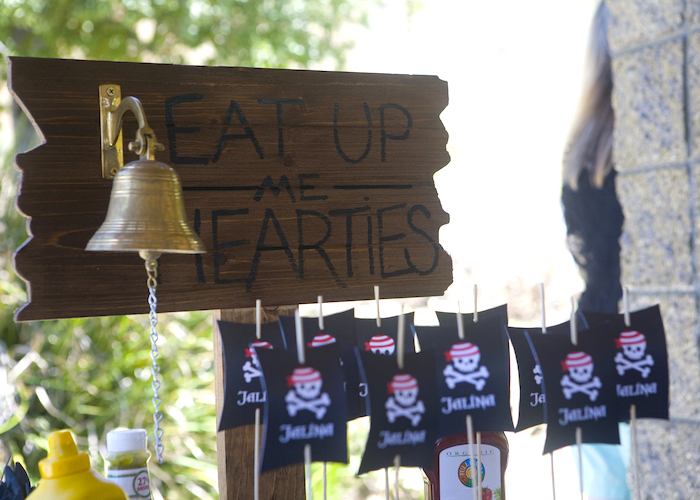 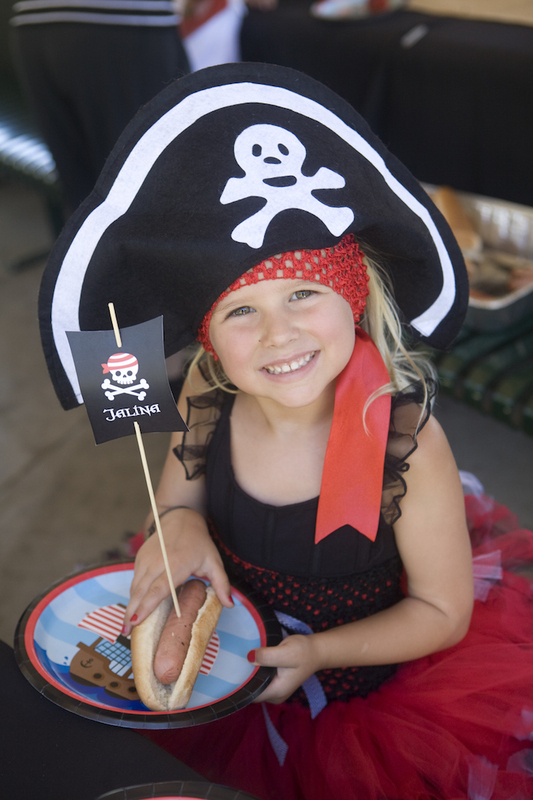 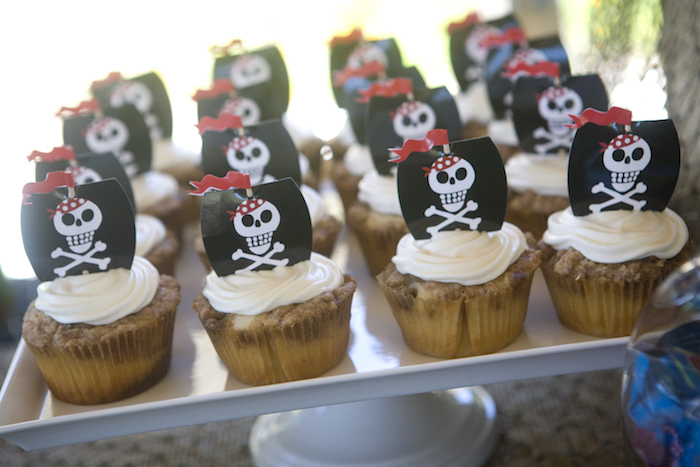 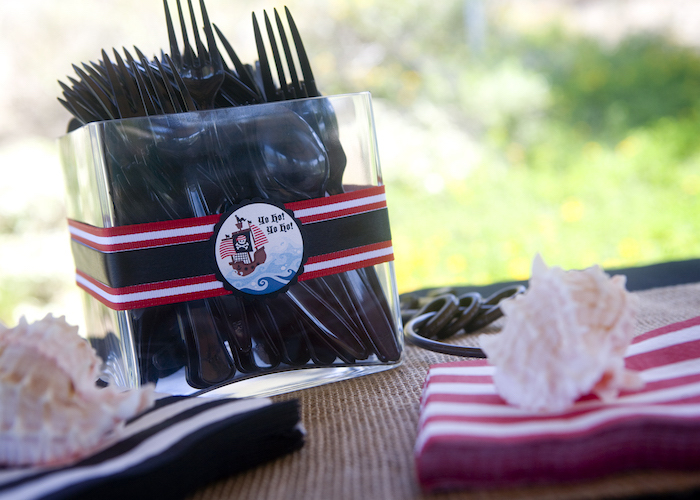 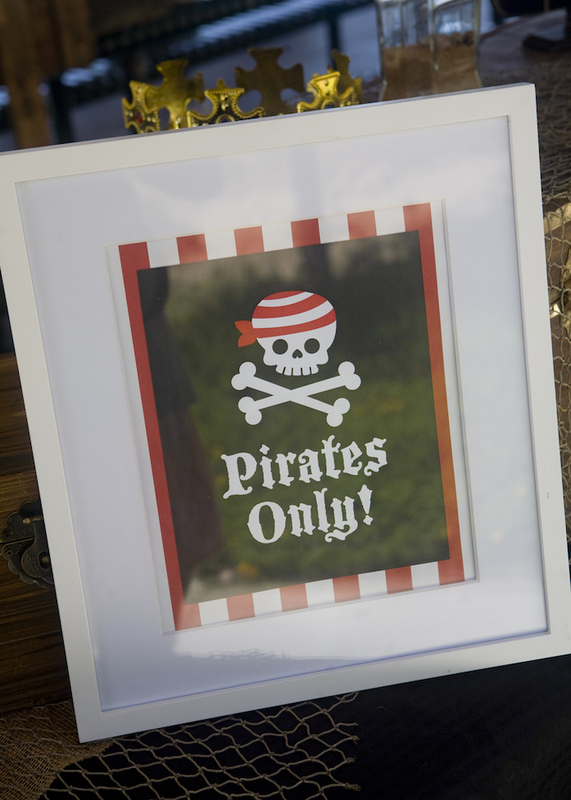 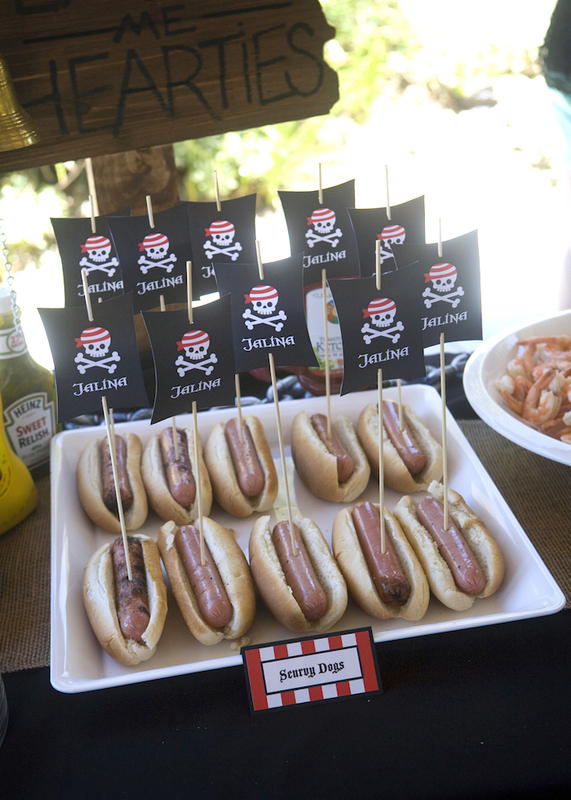 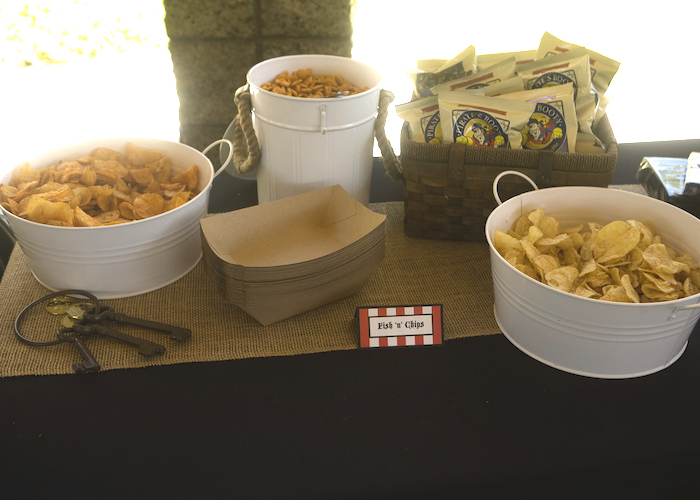 See all of our Pirate kids party ideas here!